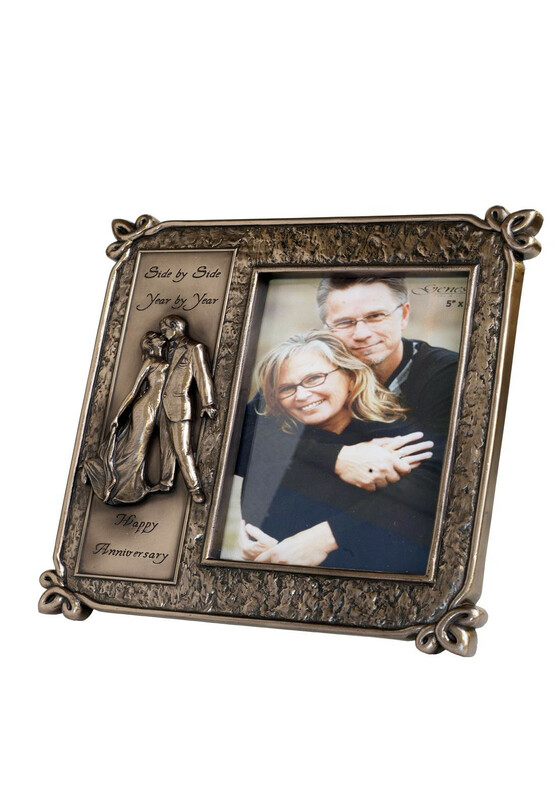 This beautiful frame from Genesis Fine Arts features a couple shaped in cast bronze moulded onto the frame. This unique Irish gift comes gift-boxed making it an ideal Anniversary gift for any couple. Inscribed with \"Side by Side, Year By Year, Happy Anniversary\"